This has been a year of new airports and new terminals, cancelled airport projects, massive delays and lots of construction. At the moment operations are underway to realign the runway at Cape Town International, with a planned completion date set at 2021. A new domestic terminal is also currently in development and Terminal 2 is being redeveloped, with a stunning new international departure lounge and boarding gates set to be completed in June 2019. Earlier this year a number of upgrades were completed at OR Tambo International Airport, including superior parking facilities. Now, Terminal A is getting a refurbishment worth millions to increase its overall capacity. And with new routes like British Airways' direct route between Durban-London, King Shaka International Airport is growing exponentially; the airport topped the 5.5 million-passenger mark for the first time this year, making it the fastest growing local airport. 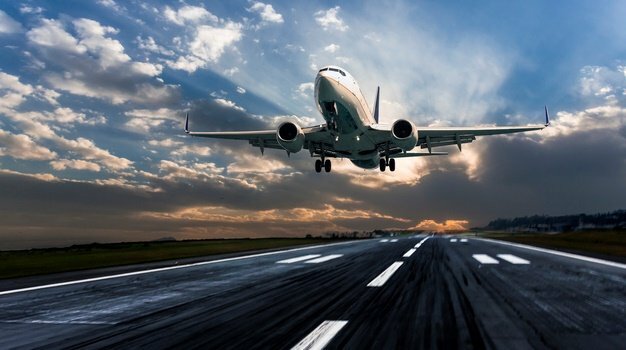 Airports Company of South Africa (Acsa) is investing more than R420m into airside and other upgrades at the Durban airport, reports The Times. Hoping to become the main hub for travellers between Asia and Europe by 2023, the New Airport (which opened end of October 2018) plans to double the passenger capacity of the old airport, Atatürk with the launch of its new terminal. Eventually targeting a capacity of 150-200 million passengers flowing through its terminals - making it the busiest in the world. This has been called the world's most beautiful new airport. And we can see why. Sitting at a whopping 1.4km up in the Himalayan Mountains in the rural state of Sikkim, the recently opened Pakyong Airport now offers travellers the opportunity to visit the remote area set in between Nepal and Bhutan. The Ghana Airports Company Limited (GACL) along with Airports Company South Africa (ACSA), who has aided, advised and partnered with airports like Guarulhos International Airport in São Paulo, Brazil in the past, has undergone a project like no other in the region. With visa on arrival for South Africans and other African countries, GACL is open and committed to making the customer experience as seamless and possible. The terminal now processes around 1250 passengers per hour, with an ultimate goal set at a 5 million passenger flow through its doors per year. Hoping to become the hub of sub-regional travel. Set to open its new Terminal 5 in 2019, the proposed Jewel terminal - an impressive glass multi-use space that will be connecting the existing terminals - is sure to be a modern marvel. The new airport, known as Dubai World Central, is already open and handling limited amounts of cargo plus a small selection of passenger flights. Once completed, all operations will move here from Dubai International Airport. Set to open in 2019, it also plans to become the world's busiest airport hub. Planning the world's largest passenger terminals and a high-speed rail connection to the city, it's truly looking towards the future. Mexico's president-elect said in October that he will respect the result of a referendum that rejected a partly built new airport for Mexico City, effectively ending the $13 billion (R190,67 billion at $1/R14,67) project. "The decision taken by the citizens is democratic, rational and efficient," Andres Manuel Lopez Obrador said after 70% voted against the plan. "The people decided." It is unclear what will be done with the enormous foundations already built on the site, a former lake bed known as Texcoco. Addis Ababa (Ethiopia) - plans in the works to construct new airport, sitting just outside Addis. Navi Mumbai International Airport (India) - a 3-4 year project is underway to double capacity at this airport. Manila Airport (Philippines) - planning a new airport in Bulacan, with a design capacity of 200 million passengers per year. LaGuardia Airport (New York, US) - completed earlier this year, it has been revamped and rebuilt. The airport now also features new parking and a concourse. Berlin Brandenburg Airport (Germany) - called "the most delayed new airport ever" it was set to open in 2012. The airport is now aiming to open it's doors between 2020 and 2021. Find the rest of the list of airports and terminals currently under construction, here.